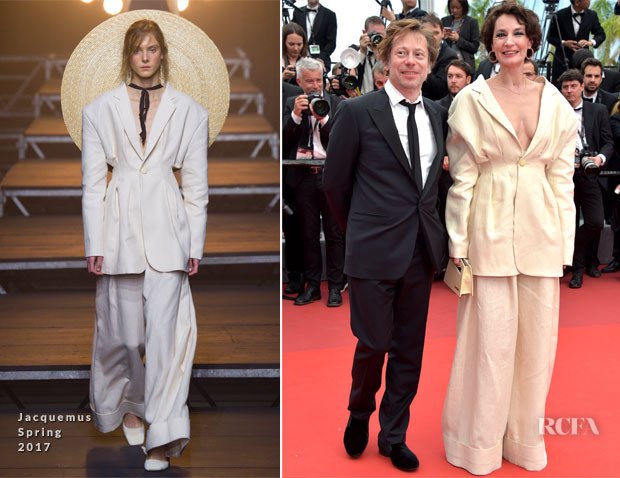 Jeanne Balibar wore her second Jacquemus look for the ‘Loveless (Nelyubov)’ Cannes Film Festival premiere this evening (May 18), following the photocall earlier in the day. The idea was a good one, but the execution doesn’t work for me. Yes, the look is supposed to be outsized, but the fact that she had to sling the jacket over her shoulder to temper the look, proves that in this case a size down would’ve served her better.